I'm always excited whenever a new expansion arrives, but this time the feeling is somewhat different. Due to the leaks, we got an enormous preview of Dominaria and all I've been thinking about it how cool Dominaria is. I would even go ahead to call it the "Expansion of a Decade." As a Magic player of over 20 years, I'll like to share some of the reasons why Dominaria is going to be worth your while. 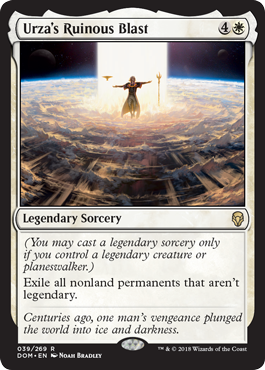 We didn't have actual Planeswalker cards in the past, but we had Urza, Karn, Jaya, Kamahl, Teferi, Gerrard, and all our old friends from the last millennia. I was an avid reader of the novels back then, and it would be nice to immerse in those worlds again and relive those moments. On the spike side of me, I see many tournament-worthy cards which are reminiscent of staples from the past. Some of them are new fancy designs, while others are seemingly fixed version of powerful cards to accommodate Standard or Modern play ( conveniently, Snapcaster Mage is a Wizard!). 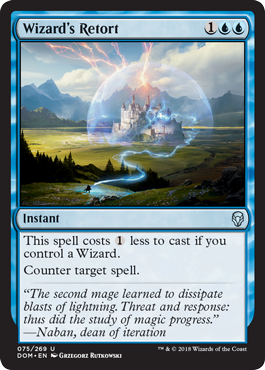 Regardless, these cards remind us of Counterspell and Lightning Bolt, while retaining a very "Dominarian" feel. 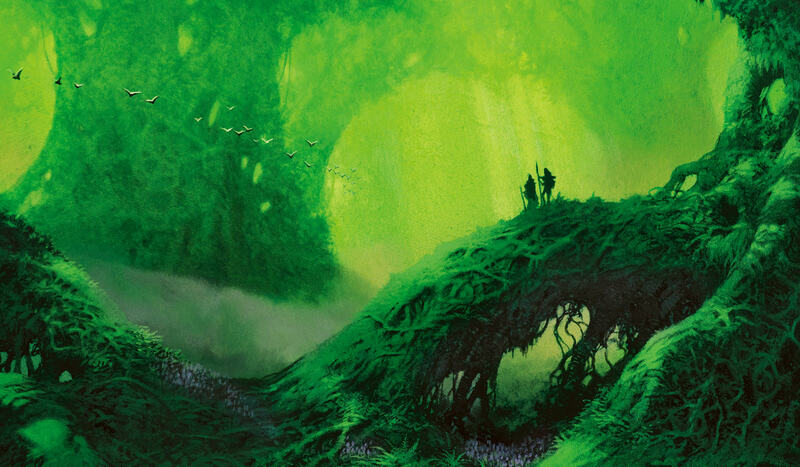 For example, the confirmed reprints include Llanowar Elves, Gaea's Blessing, Skizzik, Siege-Gang Commander, Icy Manipulator, Verdant Force, Goblin Warchief, Thorn Elemental, Juggernaut, and the whole cycle of Innistrad Check Lands (Clifftop Retreat, Sulfur Falls, Woodland Cemetery, Isolated Chapel, and Hinterland Harbor). Other cards received a new twist, a new lift, and a possibility of a new life in Constructed. 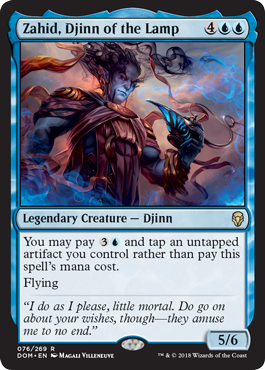 For example, the classic Mahamoti Djinn gained an alternate casting cost, which makes it way more playable than before. As a writer/editor/someone with marginal OCD, I appreciate clean text boxes. The major overhaul is fantastic, and I believe it will simplify the game and declutter a lot of cards. The separator bar is genius! Thanks for compartmentalizing your text! What other changes impact Magic? "He or she" has been changed to "their," reducing the word count by 66% at least. A brand-new Legendary card frame to make your cool creatures even cooler. 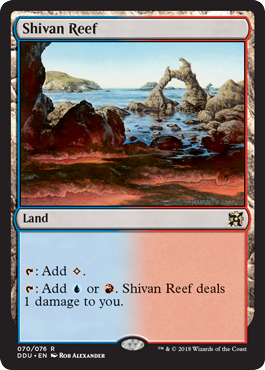 The removal of "to your mana pool." from mana-producing cards. "This spell" should have been done long ago. Last but not least, there are also numerous rule changes which impact various cards. Over 700 cards are being errata-ed, mainly the burn spells. 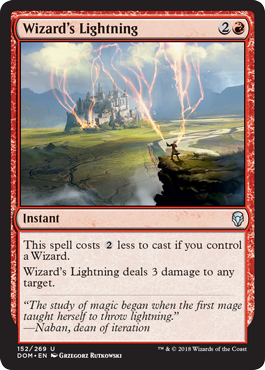 Lightning Bolt has been reworded to deal three damage to "any target" and that card still works the same way. On the flipside, some cards don't even work the same way anymore. 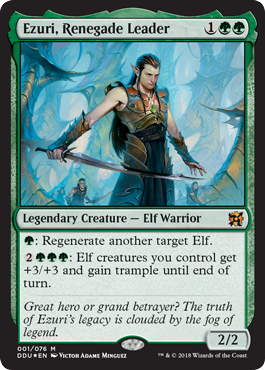 For example, Sudden Impact used to be able to kill Planeswalkers, but that's no longer possible. This major overhaul reminds me of the time when they removed "damage on the stack," "mana burn," and more. Players had their reservations initially, but everything turned out to be for the better. I believe that this transition will help new players grasp the game faster. Magic is a complicated game as it is, and we should always aim to make it as easy to learn as possible. 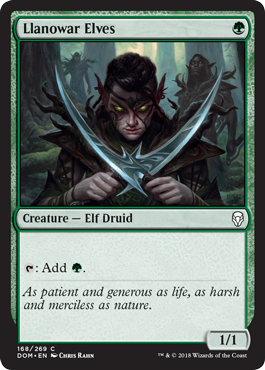 For more information, click here (https://magic.wizards.com/en/articles/archive/news/dominaria-frame-template-and-rules-changes-2018-03-21). Providing three colors of mana as well as added attack power for a neighboring creature, it remained a staple in Standard, Modern, and Legacy to this day. Call me a logophile (word lover), but the mechanics in Dominari sound extraordinarily epic. Yes, all the new keywords might as well be buzzwords of the century, each of them having this resounding radiance exuding from within. 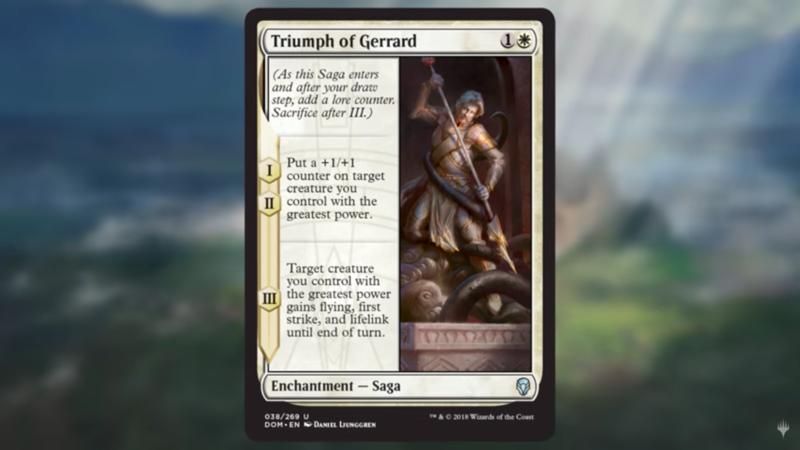 Saga, Historic, and Legendary (and of course there's Kicker and Hexproof) all promise to do extraordinary things and I cannot wait to see how these powerful cards impact Constructed. 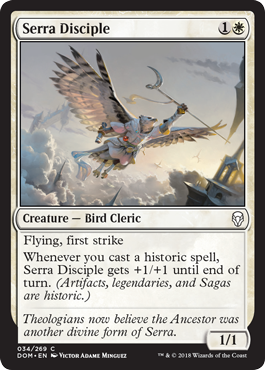 For more info, click here (https://magic.wizards.com/en/articles/archive/feature/dominaria-mechanics-2018-03-21. You can bring home a lot of Dominaria on the Prerelease weekend. You can cry over spilled milk or leaked cards, but what Wizards of the Coast did was to embrace the unfortunate incident. 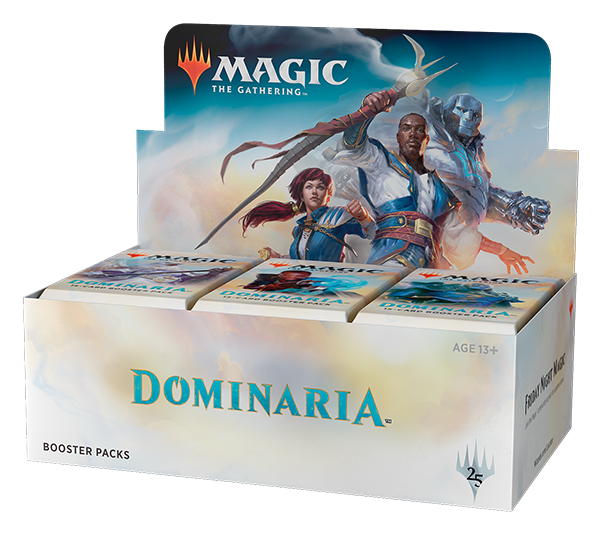 Allowing players to place a preorder with their local game stores, they'll be able to bring home a box of Dominaria on the Prerelease weekend itself! That means we'll be able to start cracking packs, building new decks, drafting with friends, and playtesting for an upcoming Grand Prix or Pro Tour. There's also a special Buy-A-Box promo like always, but the key draw here is that you'll want to mark down the Prerelease weekend date. Even if you DON'T play the Prerelease (which is a ridiculous notion), you'll still want to go down to pick up your order! 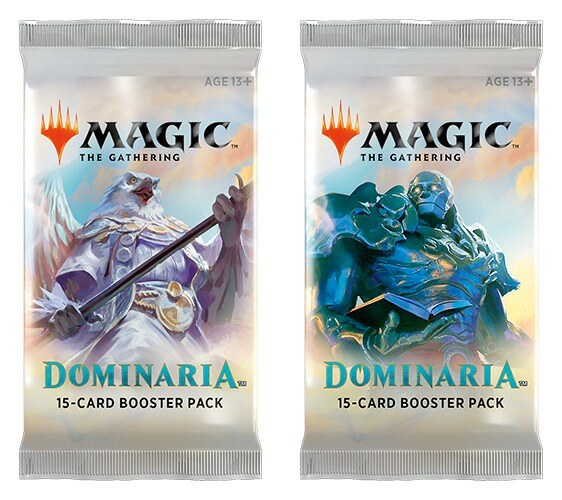 For more info, click here (https://magic.wizards.com/en/articles/archive/news/dominaria-buy-box-pre-order-promotion-2018-03-21). 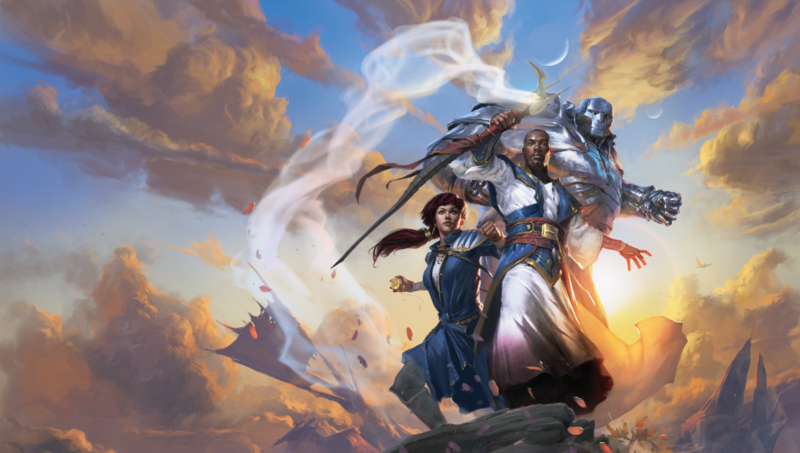 Dominaria is going to be awesome, and it is going to appeal to every demographic of Magic players. 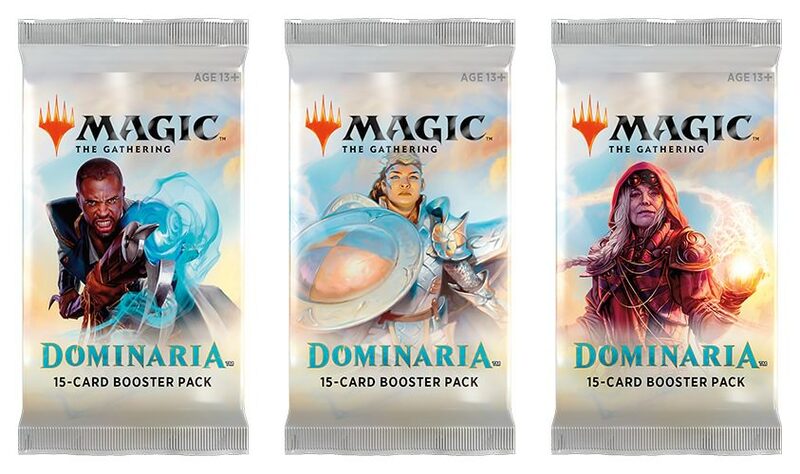 Between beautiful illustrations, new mechanics, blasts from the past, new Legendary creatures (oh wow, the Commander and Cube crowd is going to go bonkers), essential reprints, and mighty cards, we expect a lot of action to take place once Dominaria hits the shelves. As for myself? 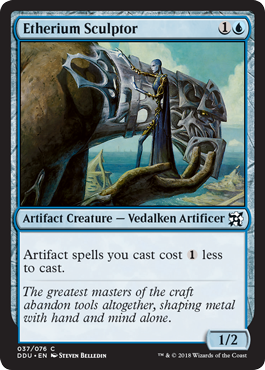 I can't wait to see what the artwork of Mox Amber looks like and whether it's broken or breakable as the other Moxen. I also hope that the Limited format will be exciting and I hope I'll get a chance to participate in a Dominaria Limited Grand Prix soon. Oh, by the way, Dominaria releases April 27, 2018! Simon Nielsen will be bringing Elves to the tables at Grand Prix Barcelona! Toki Henke crunches some numbers and shares the data! Learn how to draft B/W Fliers and U/W Fliers with Zen Takahashi!